Venetian plaster is specialty plaster that has different aggregates in it such as marble and limestone, for a more natural and stronger surface. This plaster technique originated in ancient Italy and is popular today becuase of its old world charm. We exclusively use Variance plaster products for our Venetian plaster projects, from old world venetian plaster to natural stone looks, Variance specialty Finishes provide the best in design and quality in high-end docroative plaster surface finishes. Venetian plaster is also referred to as lime stucco, polished plaster, stucco lustro,decorative plaster, stucco lucido, imported plaster, italian stucco. It is one of the most beautiful and affordable plaster wall finishes available. Venetian Plaster is not a faux finish. 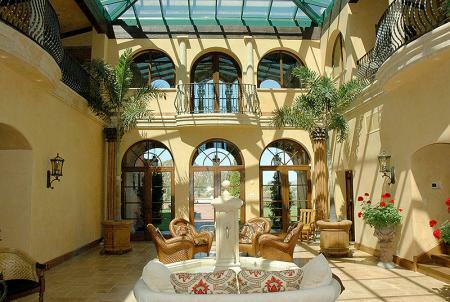 It is the 'real thing' and equal to the traditional stucco and plaster used around the globe for ages. 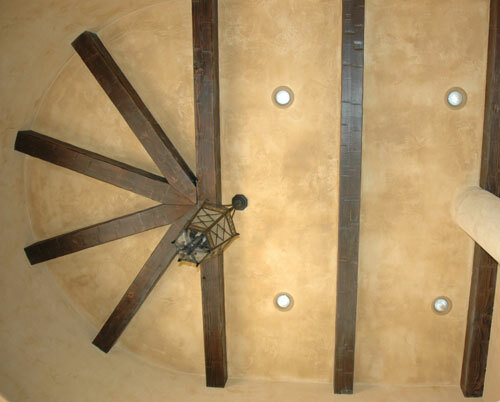 Venetian Plaster is beautiful in both traditional and modern architectural styles, including Mission style, Tuscan style, Southwest style, Santa Fe style, French style, craftsman style, and contemporary designs. This versatile plaster works perfectly on both interior and some exterior surfaces.